MOSCOW, Ukraine -- Rustam Tariko's Russian Standard has agreed to purchase Nemiroff, one of Ukraine's largest alcohol producers, an acquaintance of both companies' management and a distributor for one of the companies told Vedomosti. A source close to one side of the talks confirmed that Nemiroff has found a buyer and that the company is "from Russia." None of Vedomosti's sources would name the size of the stake to be sold or the value of the deal. A spokesperson for Nemiroff said talks had not yet been completed. A spokesperson for Russian Standard said the company would have no comment on the matter until Monday. In February, Kommersant wrote that Nemiroff co-owners Yakov Gribov (who owns about 40 percent) and Anatoly Kipish (30 percent) are ready to part with their stakes, while founder Stepan Glus (about 30 percent) plans to remain a shareholder. A source close to Nemiroff confirmed to Vedomosti that Glus was not planning to leave the business completely. There were initially several suitors for Nemiroff, including Britain's Stock Spirits, Poland's Central European Distribution Corporation, or CEDC, and Russian Standard. CEDC stepped out of contention in July, with a senior executive from the Polish company saying the price was too high. In September, Stock Spirits also announced that it was ending talks. A spokesperson for Russian Standard then said it had signed an "exclusive agreement with Nemiroff to hold talks for four weeks on the terms of a deal." Neither side elaborated on the negotiations, and in late October sources at Russian Standard said the talks could continue into mid-November. Yelena Khromova, a partner at BDO in Russia, valued Nemiroff at $300 million to $400 million, including debt. A representative from a Ukrainian vodka maker said Nemiroff could ultimately be sold for less — about $250 million. 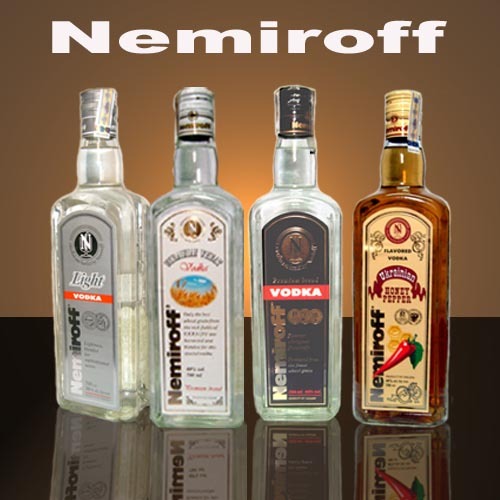 An executive at a Russian liquor producer, meanwhile, said Nemiroff may be worth $180 million to $200 million. Nemiroff — whose brands include flavored vodkas — would allow Russian Standard to compete in a broader segment, thereby strengthening its position on the Russian market as well, said Ivan Kushch, an analyst at VTB Capital. Russian Standard increased its sale volume by 4.8 percent in 2009, according to data from Euromonitor. The growth was entirely from strong gains in exports, while sales in Russia fell, it said. Nemiroff owns two alcohol factories in Ukraine, while its production in Russia is done at Rosspirtprom's Yaroslavsky alcohol plant. The company has 26 products under the Nemiroff label and had first half revenue of $203.8 million. Russian Standard Vodka had net income of 41.26 million rubles ($1.3 million) last year on revenue of 3.08 billion rubles under Russian accounting standards.